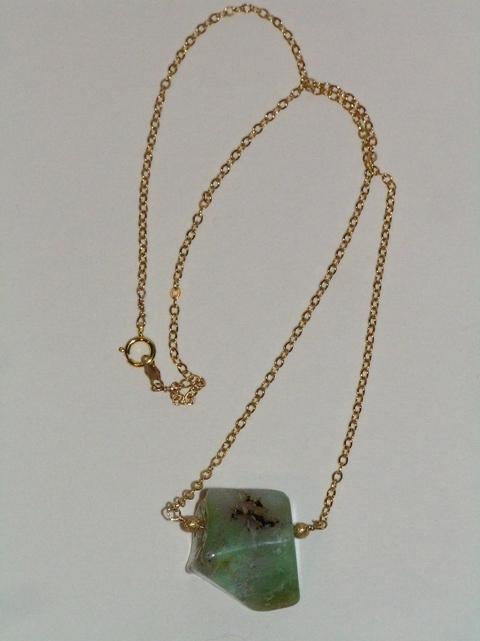 Funky polished Chalcedony stone hand-wrapped in 14K Gold fill wire. 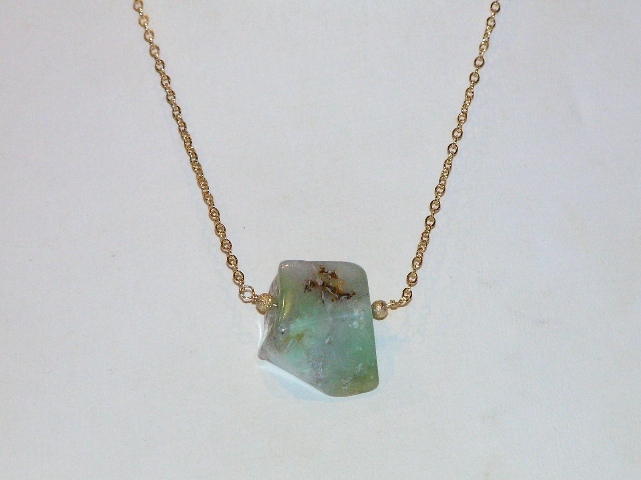 On a 16" GF chain Chalcedony is a variety of the mineral quartz that occurs in in a great variety of colors inlcuding blue, lavender, white, buff, light tan, gray, yellow, pink, red or brown. 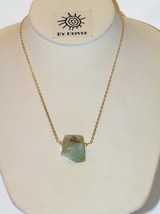 Considered a sacred stone by the Native American Indians, chalcedony nurtures and promotes brotherhood and good will. 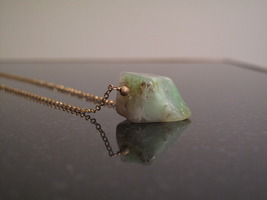 It absorbs negative energy and dissipates it. Harmonizes mind, body, and spirit, and instills generosity. Each necklace is hand-made and may differ slightly from the photograph. Contact me for custom order info - this style necklace can be made in a number of different stones or in silver instead of gold. Feel free to contact me with requests.